Soulja Boy's electronics are cheaply made, but that isn't stopping him from peddling more knockoff garbage at premium prices. Soulja Boy is back with another round of overpriced Chinese knockoffs to sell to uneducated fans with deep pockets. The rapper has added the Retro SouljaBoy Mini, SouljaPhone HT70, and the exorbitantly-priced SouljaGame Fuze to his online storefront, and if you're looking to waste your money and time, well, he's got a deal for you! 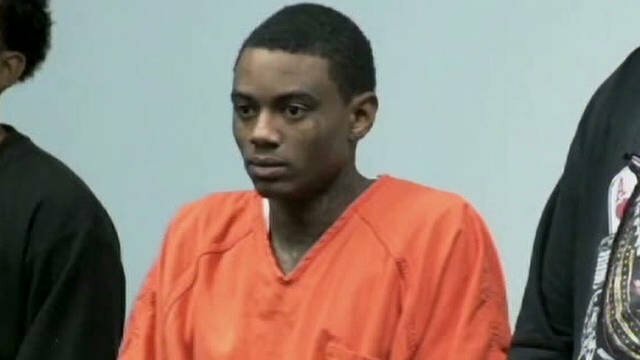 Soulja Boy has a selection of trash to fit any gamer! Ubisoft, 505 Games, Koei Tecmo, and all your favorite developers have definitely teamed up with Soulja Boy for this release. 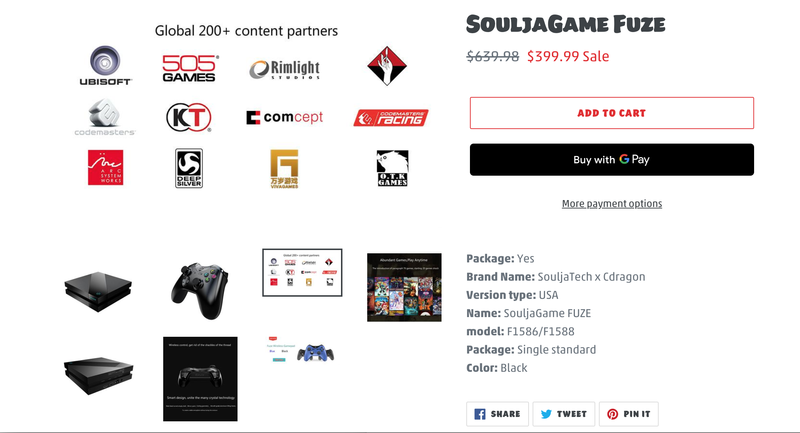 The SouljaGame Fuze console is perhaps the most egregious knockoff of all, currently "on sale" for $399.99 with a list price of $639.98. Only the biggest moron in the history of the world would pay that (or $399.99 for that matter), especially since the exact same product is currently available via Ali Express for $319.99. That's far too much money for this thing, too, but at least Ali Express isn't suffering under the delusion that it's revolutionizing the video game industry by repurposing emulation boxes. The most interesting part of this entire situation is that Soulja Boy has taken the same console photos from Ali Express to post on his store page, which feature photos of companies the console was created "in partnership" with. It's just been taken from the page description, but it certainly looks as though Soulja Boy is claiming these organizations are affiliated with him by proxy. Then you also have the SouljaPhone HT70, which, well...I'll just leave this here. Ah, yes, HOMTOM brand – the best smartphone you can currently purchase. It's still unclear if Soulja Boy is claiming that these products were created in tandem with the companies that manufacturer each item, if he's just reselling them with his name on them, or if he truly had any say in what goes into these items. I think we all know the truth here, but for the sake of argument, let's say that Soulja Boy did indeed get in touch with Ubisoft, 505 Games, Deep Silver, Koei Tecmo, Arc System Works, and the rest of the companies he's supposedly partnered with according to this listing. Why would they – sorry, sorry, I can't take this seriously at all. That's not what happened. Like, are you joking? I can't breathe, I'm laughing too hard. I guess what really offends me is not that DeAndre is claiming he's really doing something in the industry, nor the fact that he's selling knockoff garbage, but the idea that he really thinks his fanbase is that dumb. But given how fast the systems have been selling, likely to throngs of people who don't know how to use Google or critical thinking, perhaps they are that dumb. It's also a slap in the face for those who do work hard in the gaming industry to create products they know are great quality, and aren't ripping people off so they can make a quick buck. With that said, hey, if you still want to buy some gold-plated garbage for the holidays, you can.